Ólöf is the typical Icelander: relaxed, happy and cool (I wish you could see her urban/sporty outfit for nights out in Milan, to die for!). This beauty from the North has one of the warmest and biggest smiles. Even in moments of extreme pressure backstage, she stayed calm and collected. Highly organised and with exact precision of how she wanted her designs to look, this pretty problem-solver got everything sorted in the blink of an eye. And it worth it as she hypnotized the jury with her acid house touch on mink, silver fox, badger, and Icelandic lamb gaining her the Silver Award of the competition. Til Hamingju sæt stelpa! Backstage REMIX 2017. Get ready Milan! Iris was one of the most intense characters of the group. Speaking with her was like watching a dance of beating eyelashes and hands that describe in detail objects by texture, colour or pattern. She’s highly sensual making her aware of the smallest details of her surroundings. She approaches design by making use of this particular ability, which produces outstanding pieces with a high narrative content. But please dear reader, I hope you don’t misunderstand this and typecast her as a dreamer. Her vast knowledge of fur and its particular qualities helped her create a visual story that described the smallest and most delicate details of the history of her country and its encounters. Leather, suede, dupion silk, beads, pearls, wool, metal, corset lacings, hoop skirts and complex accessories were descriptive elements that represent the fusion of cultures in the Canadian territory. Silver fox, red fox, blue fox, arctic white fox, Canadian coyote, white mink, muskrat, raccoon appeared in her gowns representing the colonized. Iris explores constantly, she’s not afraid of trying and experimenting. But above all she likes to have fun. The Guru was told that she’s also a very good dancer (what a surprise!) and that she wasn’t wary to prove it on the dance floor while enjoying the Milanese nightlife. Go girl! 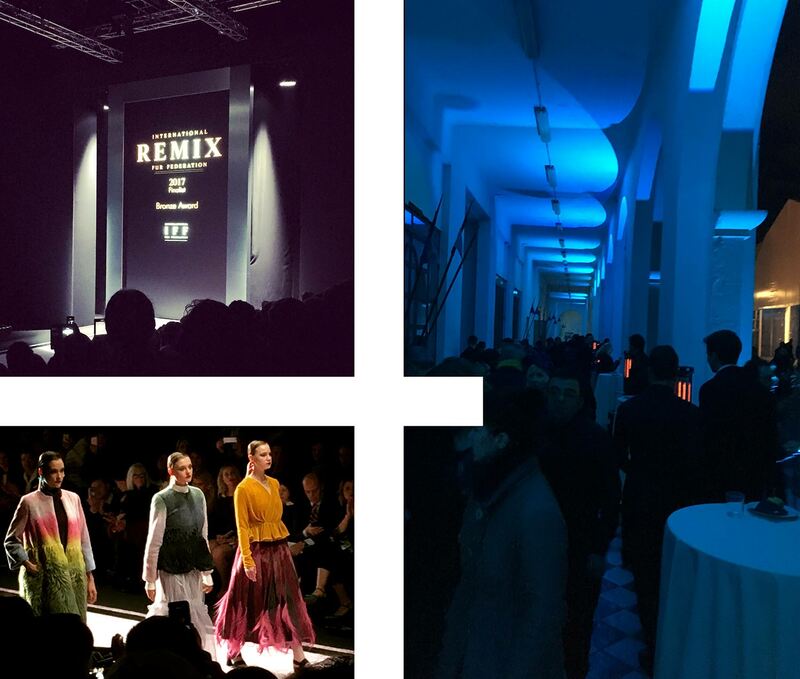 REMIX finalists at the Italian Evening Gala/ Morten Ussing beautiful designs on the catwalk/ Our gorgeous venue in Milan. Aigul Asadullina was the most collected member of this group of finalists. Always friendly, ready to listen and ALWAYS on time (you know, the Guru likes to stick to schedule). She’s the type of person that works as a catalyst; providing that element of calmness to the people that surround her and also when fashion demands it. She proved she could keep it cool particularly backstage: models, stylists and all, she unpacked, prepared, and styled with accuracy to her previously planned looks bang on time. Her exactitude doesn’t apply only to fashion shows but also in her work with fur. Her inspiration was almost instructive in attires made with mink, karakul and sheared beaver blocks in-layed with different fabrics. You could read the stories of minimalistic, urban landscape; the inter-calary of mosaic tiles and stone masonry represented by detailed cutouts of fur with different colours. Aigul attested that accuracy and beauty go hand in hand and bring to the catwalk the so necessary overload of patterns and techniques. Make way ladies and gentlemen, here comes 100% “fabulousness” directly from Paris and his name is Nicolas Lecourt Mansion. This talented personality turns heads wherever he goes. But the most outstanding bit of this is that, as if beauty and talent weren’t enough, he happens to be the most available, thoughtful and bright person. This designer, even though still very young, already has a past working with big names such as Acne Studio and Jean Paul Gaultier. He is aware of what fashion demands and he is not scared of hard work, competition or failure. As he told me, this is what being a fashion designer entails; you just do it and keep going. Nicolas represents in flesh and bones the passion and intensity that characterizes “being French”. He embraces it and charms everyone in his way. His spell was there, on the catwalk; with big contrasts of red, white and black. With leather and PVC he shouted for a revolution of genders, of trends and finally, imposed irrevocably his talent and his intention of making fur look current. Mink and fox will never look the same in the hands of this designer. The jury knew it and gave him the Bronze Award in recognition of such a daring collection. World, be aware, Nicolas is here to stay and he won’t do it soundlessly. He promised this Guru a new piece with yellow fox (my favourite colour) and I just can’t wait! Lets start this show/ On the catwalk/ Video REMIX 2017 Finalists. Jeremy, you think he’s shy but, really, he’s not at all. He’s very polite though, and friendly and so very sweet… and the shyness disappears when he has something to say (particularly if he disagrees about a specific topic). He liked the Guru (who doesn’t?) and I believe it’s because we belong to the same group of people, the ones that speak with their eyes. Jeremy says so many things just with a glance of those pretty eyes. Jeremy Galliard, the man of few words. He’s minimal even for that. You don’t believe me? Have a look at his work: Shadow fox, Blue fox, Red Fox in exaggerated proportions and clean lines that allow fur to shine on its own, giving it a protagonist role. 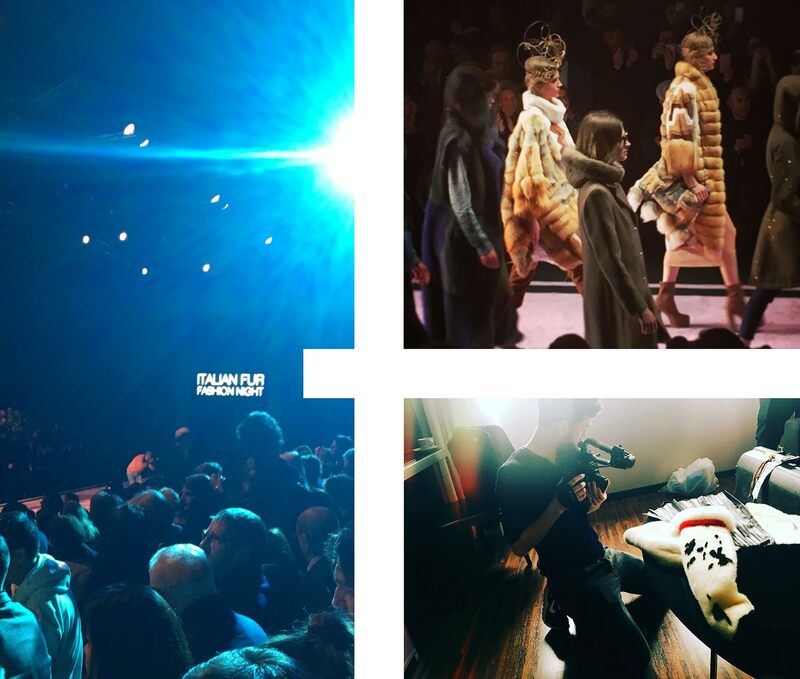 Gold, Silver and Bronze awards also had the opportunity to be part of the Italian Fur Fashion Show sharing the catwalk with designers such as Rindi, GianFranco Ferre and Pajaro among others. 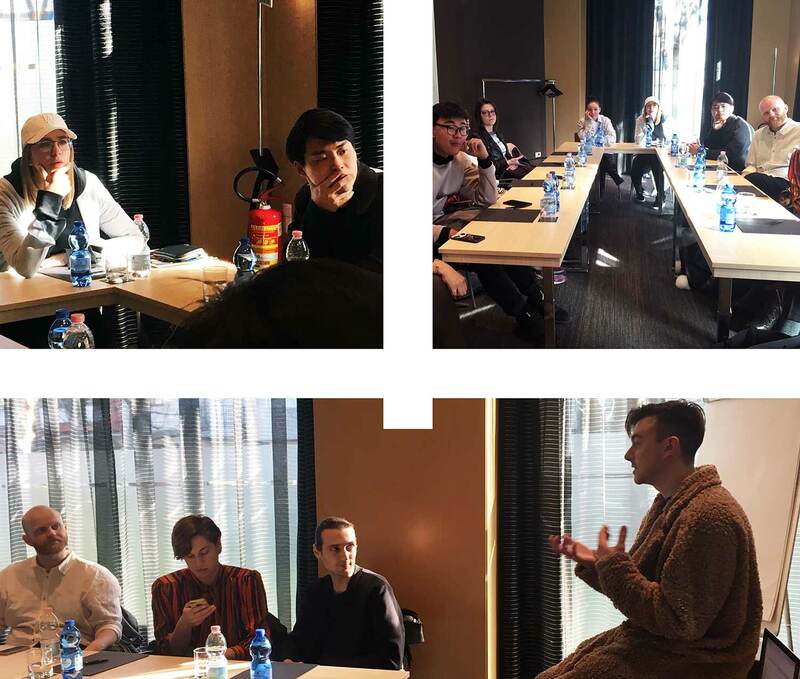 Finalists at Work at AC Milano Hotel. So, yes, the Fur Guru was in her element. You know me, what else could I ask for? I had fashion, fur, catwalks, a lively show backstage, a beautiful Milanese skyline every morning, delicious food, the best coffee, outstanding service at the amazing AC Hotel Milano by Marriot. But above all these treats, I had the honour of meeting the new generation of our trade. These ten young people proved that to succeed you don’t need to step on each other. They all earn a place in the show and the competition with their individual talents and their outstanding personality. They all work as a team, helping and inspiring each other. They showed respect for their mutual work, materials and varied cultures. More importantly, they showed passion, commitment and respect for this trade making the Fur Guru very happy. 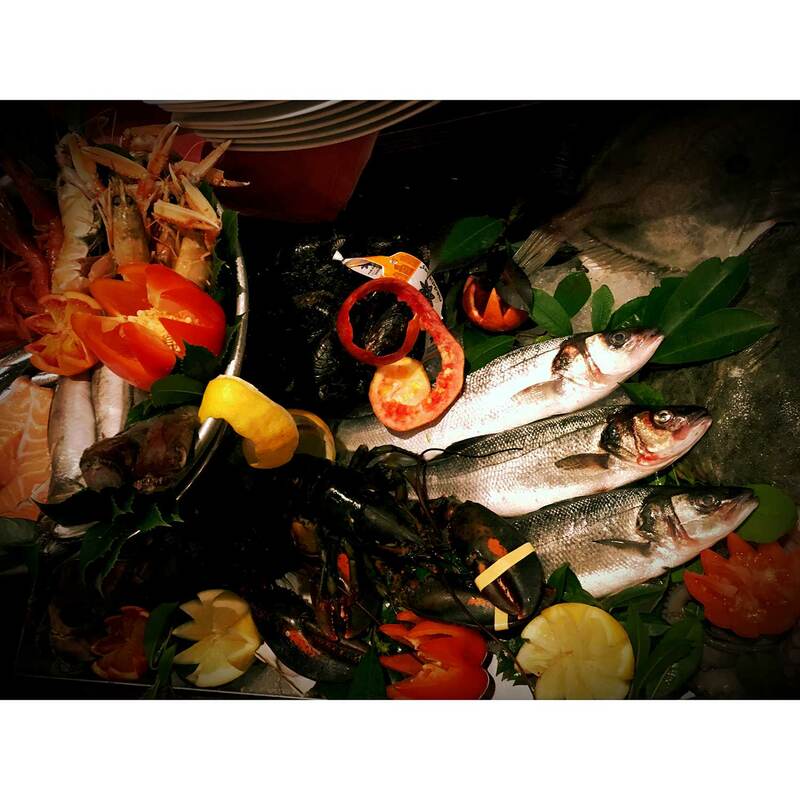 Some fresh seafood dinner to say good bye to Milan. P.S. Next week, I’ll talk about my favourite pieces on the Parisian catwalk. Get ready to enjoy the dreamiest looks on the runway, those ones that made this Guru say OoH la la!